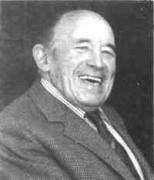 Hugh Macauley Boyd was born in Ballycastle, County Antrim and was educated at Trinity College, Dublin. He edited the political paper, the Freeholder in Dublin, before going to London, where he joined the club attended by Johnson, Goldsmith and Burke. He accompanied Lord Macartney to India as his secretary and was captured and imprisoned by the French. He became Master-Attendant in Madras where he edited the Madras Courier and other Anglo-Indian journals. His miscellaneous works were published between 1798 and 1800, and there were many who believed him,(rather than Sir Philip Francis), to be the author of the 'Junius Letters', which had appeared in the Public Advertiser, London, from 1769 to 1772, attacking George III and his ministers.